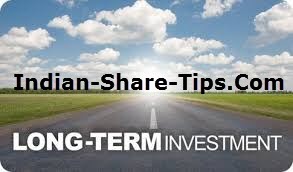 If you are one of those long term guys who can wait with patience and want to get that next Infosys which can make them a multi millionaire or a billionaire than before embarking on the plan to buy a stock ask following five questions to yourself. If you get answer in Yes, than latch on to the stock as a systematic investment plan. Can this company survive the next recession? Can the sales grow a steady pace for many years? Does the company have to invest heavily just to keep its competition at bay? Does the business need a lot of debt or can it grow without it? Does the management pay out dividends every year? Have dividends increased over time? Check our long term growth story here and how we have progressed using this technique and do not forget to use our delivery stock tips and be in the league of traders who achieve financial freedom. Last but not least; if you do not want to hold the stock and still wanna become a multi millionaire than you can skip our Jackpot tip at your peril.